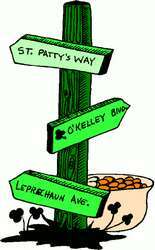 Pick a picture or two for the children to print out and color for St. Patrick’s Day. Parents, teachers and youth group leaders are welcome to print out multiple copies of these coloring pages for their children, students or group members, but please don’t post these images on your own web site or blog without permission. Hot linking, or direct linking, is also not allowed because that costs us precious bandwidth and increases the cost of web hosting. Please feel free to share a link to this page instead. Thank you! 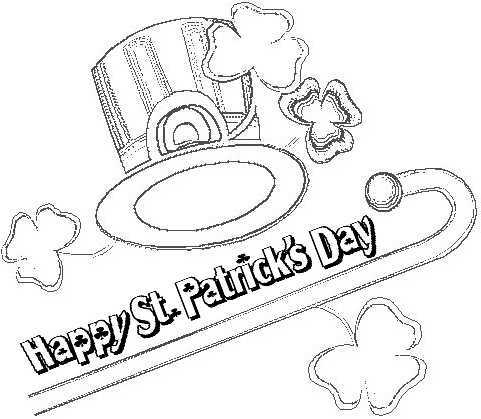 Happy St. Patrick’s Day ensemble, with shamrocks and a leprechaun’s hat and cane. 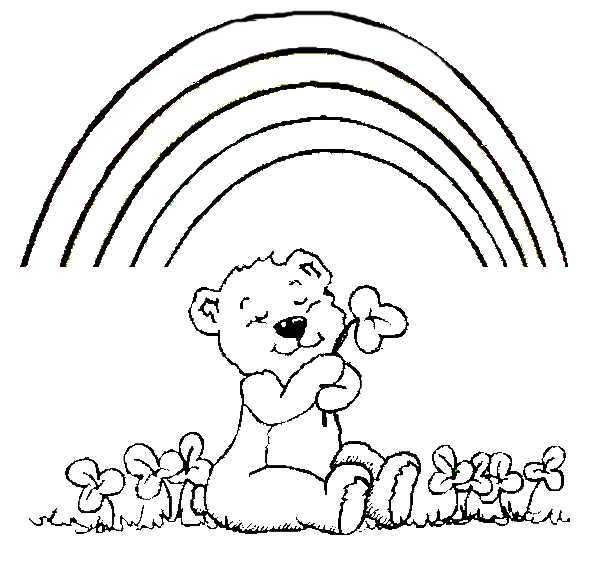 Dreamy teddy bear sits among the shamrocks beneath an arching rainbow. 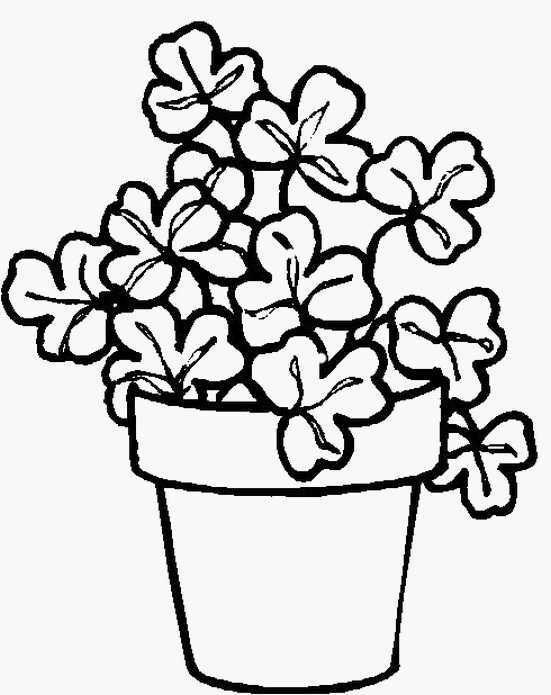 A glorious tumble of shamrocks growing in a clay pot. 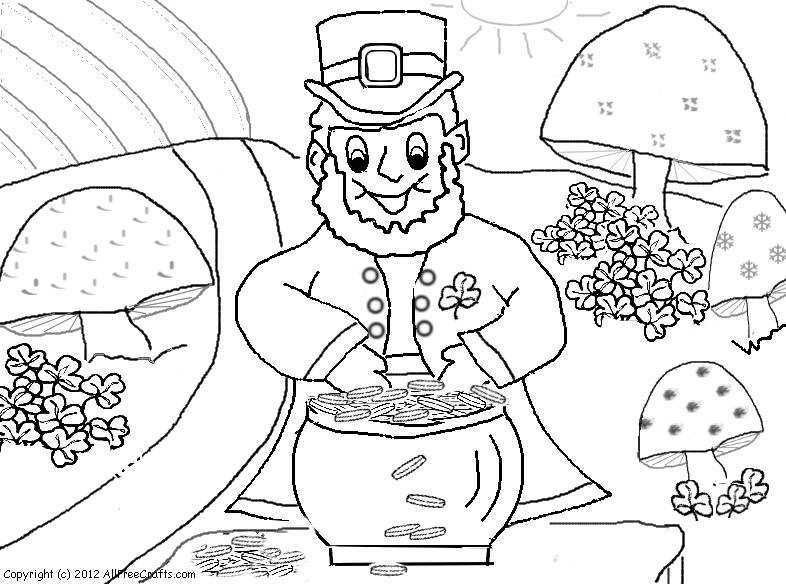 Cheerful Irish leprechaun counts his gold coins, amid a field of mushrooms and a rainbow in the sky. Smiling bearded leprechaun face with hat and collar. 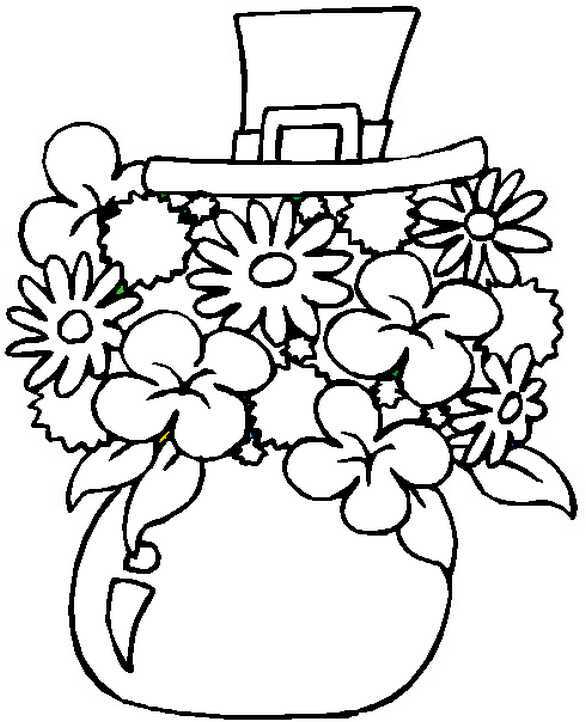 Flowers and shamrocks arranged in a bowl and topped with a leprechaun hat for St. Patrick’s Day.